Ahlen, March 2014. – Kaldewei now offers a new complete solution facilitating the installation of ultra flat shower surfaces: The Superplan system with low profile support consists of the enamelled shower surface Kaldewei Superplan and a custom-fit polystyrene support for a total height of only 37 mm. Thanks to the installed height the system is suitable for almost any installation situation in markets worldwide. The advantage for fitters: Quick and easy installation in only a few steps. The Kaldewei Superplan with low profile support combines the aesthetics of an ultra flat shower surface with effectively effortless fitting facilitated by an enamelled shower surface that is quick and easy to install. The system is available in seven sizes – from a space-saving 80 x 80 cm up to a comfortable 90 x 120 cm. Shower surface and polystyrene support are designed as a custom-fit unit to ensure reliable and secure installation to a total height of only 37 mm. Enamelled shower surfaces can therefore be installed with minimal access height even in bathrooms where structural conditions do not allow for fully floor-flush installation. The Superplan with low profile support can be installed in three different ways: The most popular method is fitting it directly on the screed or unfinished floor. After installation, the floor covering such as tiles, PVC or wood is then laid right up to the shower surface and appropriately sealed. The Kaldewei system solution is just as easy to fit on tiled floors. 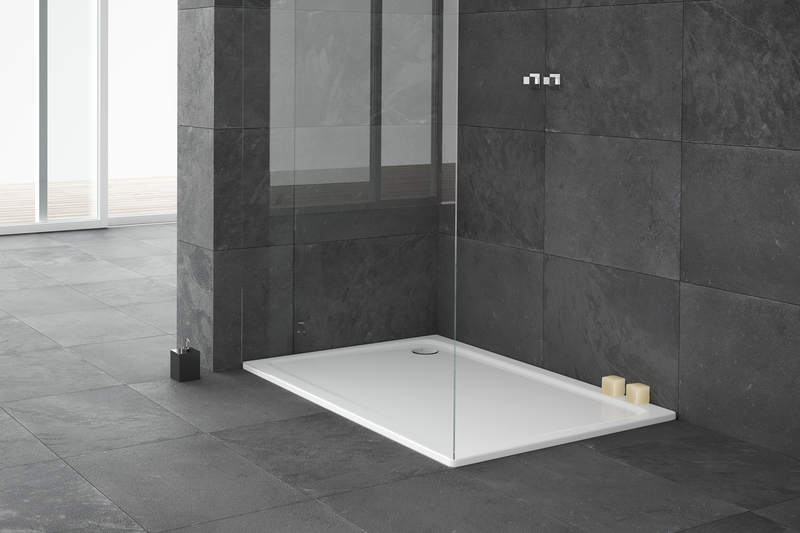 If the installed height permits, the Superplan enamelled shower surface with low profile support can also be installed completely flush-to-floor. Considering the special requirements of the international markets, Kaldewei offers three different waste fittings for the new Superplan with low profile support. These are suitable for installation situations in the relevant countries and regions. The waste fitting is available either with horizontal installation, vertical installation with siphon or – specifically for the Chinese market – with vertical installation directly connecting to the wastewater system. Thanks to the Kaldewei system solution, existing wooden flooring, as is popular in countries such as England or Scandinavia, only needs a cut-out for the waste fitting in order to install the Kaldewei Superplan with the low profile support. Ready installed, the new Kaldewei Superplan with low profile support as a complete system presents a convincing argument in terms of easy access and an aesthetically appealing look. For harmonious integration of the enamelled shower surface with the bathroom, Kaldewei additionally offers the Superplan model in the exclusive colours of the Coordinated Colours Collection. The shower surface can optionally be finished with slip-resistant coatings such as Kaldewei Secure Plus, anti-slip or full anti-slip. On request, the premium manufacturer also provides the enamelled shower surface with its special Kaldewei easy-clean finish. As all baths, shower trays and enamelled shower surfaces from Kaldewei, the Superplan is made of durable Kaldewei steel enamel. This material is exceptionally hygienic, easy to clean with a seamless surface, and protects against damage from moisture penetration. The Kaldewei Superplan with low profile support combines the aesthetics of an ultra flat shower surface with effectively effortless fitting facilitated by an enamelled shower surface that is quick and easy to install. 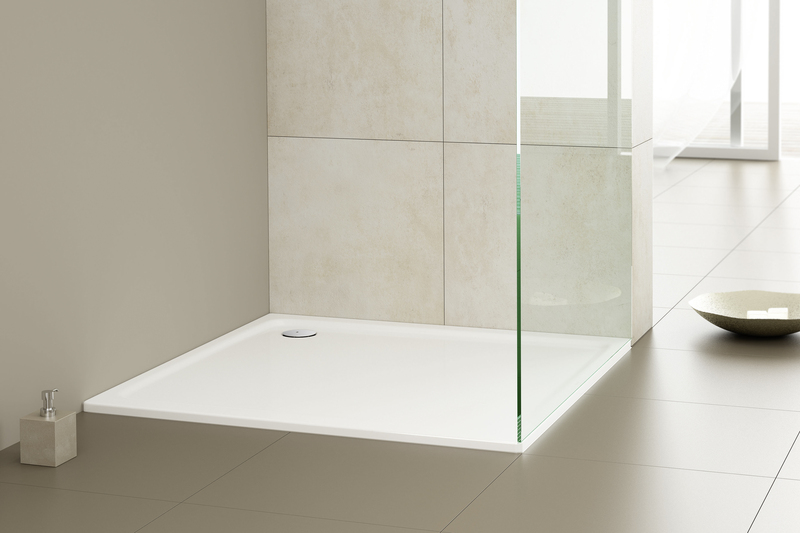 With this complete system, enamelled shower surfaces can therefore be installed with minimal access height even in bathrooms where structural conditions do not allow for fully floor-flush installation. With the new Superplan installation system with low profile support, Kaldewei offers an ultra flat installation solution for the shower area. Shower surface and polystyrene support are designed as a custom-fit unit to ensure reliable and secure installation to a total height of only 37 mm. Kaldewei now offers a new complete solution facilitating the installation of ultra flat shower surfaces: The Superplan system with low profile support consists of the enamelled shower surface Kaldewei Superplan and a custom-fit polystyrene support for a total height of only 37 mm. The system is available in seven sizes – from a space-saving 80 x 80 cm up to a comfortable 90 x 120 cm.